Did you know that this year is Hank's 35th Anniversary?? 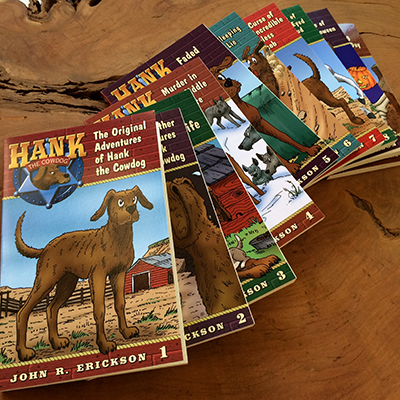 And, in honor of it, the Austin American-Statesman wrote up a fun quiz to test your Hank the Cowdog trivia-knowledge! Questions like,"Who is Hank madly in love with, although her feelings aren't mutual?" and "What is the name of Hank's "deputy"?" will be a breeze for any fan of the series! We'd love to know how you did! Take it, and be sure to share your results with us in the comments!